United Learning Partners - Remote Classroom Training for Microsoft Certification. 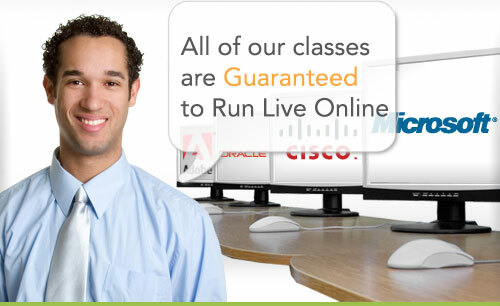 Online Training for Cisco Certification. Computer Classes - MCITP, Sharepoint, CCNA, CCNP training. United Learning Partners is a coordinator of high-quality IT training matching those seeking the knowledge and IT training companies providing classes. All courses offered through United Learning Partners are Guaranteed-to-run classes. United Learning Partners (ULP), in cooperation with its members, provides Guaranteed-To-Run Live Online IT computer training courses 'when you need it, where you need it'! With training partners located in various time zones, you will find Guaranteed-To-Run Live Online class times that fit your schedule and your lifestyle. Do you have a group of students needing training? No problem! We will connect them from many different locations to attend the same class. We will also send an instructor to your location and even customize the course content to meet your unique business needs. Our partners are held to the highest of training standards and provide top quality instructors, courseware and customer service. All courses offered are hands-on, live, and instructor led. Our student-centered training prepares you for real-world application of skills, delivering knowledge that can be implemented immediately. United Learning Partners uniquely offers Guaranteed-to-run courses ONLY. Students will never have to guess whether their class will be canceled. One student or many, ULP courses will run!